Next part is here, let's not prolong this further! When it comes to platforms (that isn't Mario), Crash Banicoot is the foremost and best. He is truly awesome. I first played Crash Bandicoot 3 as I did with most games, in a demo, and I decided to buy the game for all the money a kid merely 11 could get. It was worth it, this game have gone warm in my Playstation from the day I bought it to the day it broke and we decided to use the disc as a clock, and later as a bullseye for my soft air gun. It's broke now, but it's one of the games on my need-to-get-my-hands-on-again list. 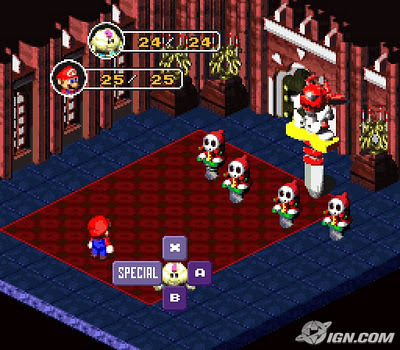 The gameplay and the stage design is the biggest reasons for the great game, but also the humor, the characters, and the addicting speed runs. 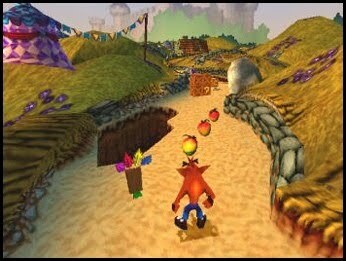 All in all, Crash Bandicoot was a huge part of my childhood, and after playing the first and second game as well, I can say that they are all great, but the third is still the best. This is one of the reasons I have full faith in Ninja Theory, making DMC. I loved this game, from beginning to end. Sure, the gameplay isn't perfect, but it's still really fun play. But the magic is in three things. The characters, and the voice actors that does an amazing job bringing them all to life. The script, not forced, but seems realistic and has you actually caring for the people in the game. Thirdly, the scenery. 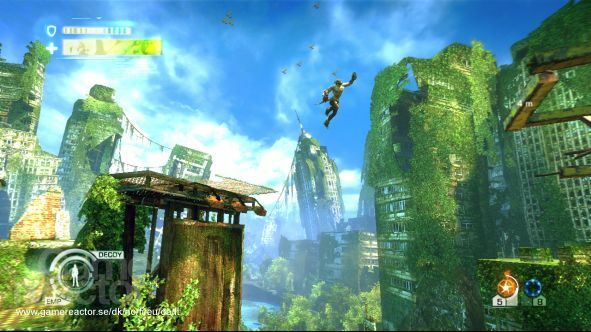 I have always loved the plants-take-over-and-makes-everything-green version of a post apocalyptic world, and New York have never looked better. 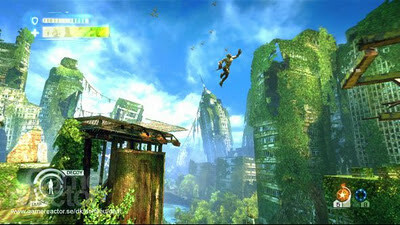 These things makes Enslaved a joy to play, and I hope we will see the same in DMC, and I think we will. Heroes III is a game I've spend so much time on. Playing through map after map after map, and I still play it from time to time. 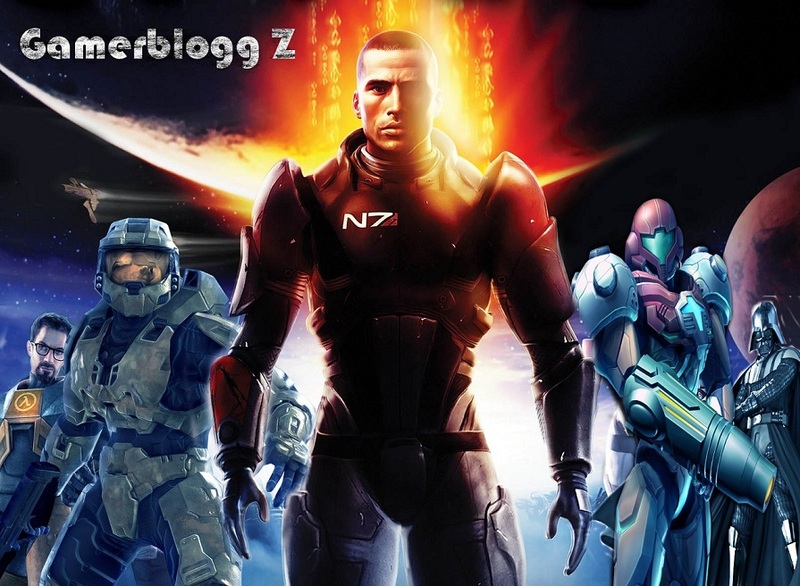 It's one of these perfect games that their successors will never be able to top. The feeling you get when you make a stand against a seemingly overwhelming army, but through tactics, you emerge triumphant. The feeling cannot be described, and Heroes III is full of these moments. It kept me busy for a great while. 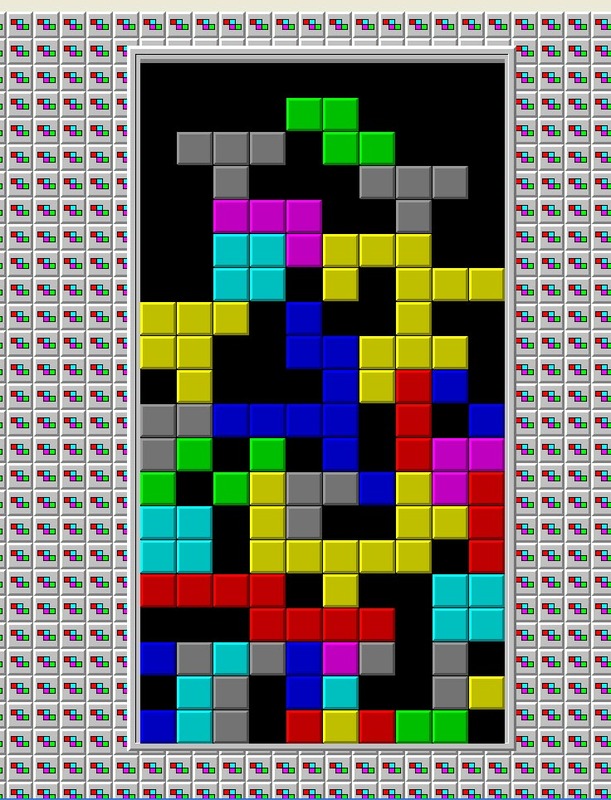 If there's any game I have spend more time on than Heroes III, it's Tetris. Alexey Pajitnov's classic puzzle-game is a classic for a reason. 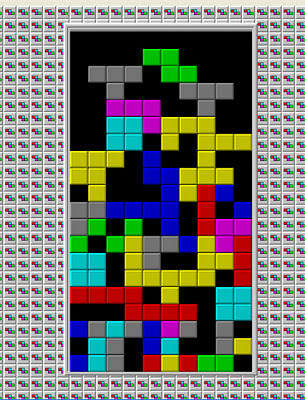 Everyone have at some point in their life tried Tetris, everyone knows what it is, and it's really fun to play as well. 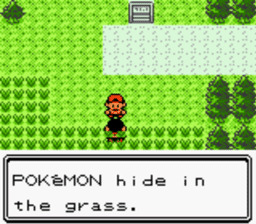 I have it on Game Boy, I have it on my computer, it's so basic that you could just pick it up and play, just like that, takes a few minutes, and then you can go back to doing something else, or play again. It's the perfect taking a break-game. And if I'm not wrong, we haven't seen the last of it either. 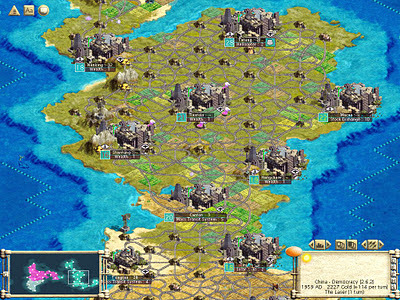 If there's any game I have spent more time on than Tetris, it's Civilization III. Hours and hours a day for almost a year. I was probably one of the few people that thought that playing it via LAN was a good idea. But we did it, and fun it was. It's kind of like Heroes, you get the same feeling, but you aren't at war with everyone all the time. It's a relief, but when war does brake out, you're fighting for your life. It's fun to see the technological progress through the ages as well. Civilization III is a game I will not stop playing, a game I find myself coming back to again and again. If there's any game I have spent more time on than Civilization III, and any other game for that, it's Pokémon. All of them. There is no way to get around the fact that Pokémon is a phenomenon. It's starts as kids, I played Red and Blue a lot as a kid. Then my brother got Pokémon Crystal, and I spend as much time on that as well. And Emerald, and Diamond. The games are unfortunately so similar that there are almost impossible to say which is the best. I choose Gold/Silver for the story, it's slightly more engaging than the other games. I currently have near 400 different Pokémon on my Diamond game, and when Pokémon Gray hits stores next year (hopefully) I'll be on again, 600 Pokémon here I come. Halo is a game that is improving for every game. 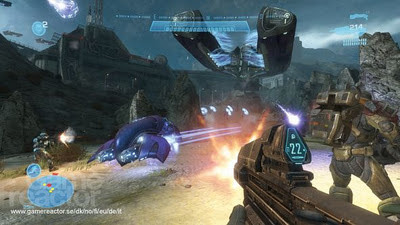 Therefore, Reach is the best in the series. My friends and I have played it a lot, it's one of the few games that we feel is possible to play in multiple Xboxes. But it's not only the multiplayer opportunities that makes this game great. The story is closure, it's well put together and the characters are great. Most of you have played it and know what I'm talking about, the game itself is FPS-perfection, and in a time ruled by the genre, that's pretty good. Halo will live in for a long time, there is no doubt about it, and we're all happy about that. How can you not love this? It's Final Fantasy, with Mario. This is probably the most bizarre and awesome crossover ever, The story is twisted, but fun, the new characters are fun, and the characters we all recognize are awesome! There's really not much else to say about it, the fighting is great, everything is done so well. And it's Final Fantasy but with Mario!! You can't go wrong, and they didn't. I love indie games. Mostly because it reminds me of the old games, and the fact that from restrictions, a great idea, and also a great game, can emerge. 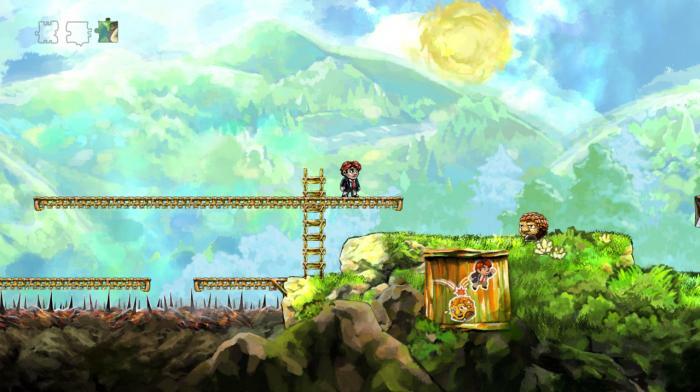 Braid is one of the great indie games. The simple play with time, the fact that you really think that something is impossible, but it's not. the satisfaction over reaching a puzzle piece that you have worked so long to try and get. And the atmosphere, the wonderful music, everything is just great. But once you've played it, it looses its charm, you know all the puzzles already, but the hours spent on the game is a feeling you won't soon forget. It's Super Mario Magic from first to last level. Everything is done one step better, one step more than the previous games. You got raccoon tails, frogs, shoes, so many different costumes to help, and give the game a versatility that made you play it over and over and over again, and you never got bored with it. The speed run made at a time of 11 minutes is famous, it made me try it, it made me try it on a lot of games since. 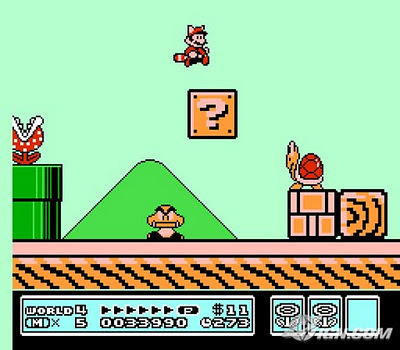 This is where Mario reached cult status. Soon done, 30-21 will be up soon.